What sizes do you have for pools? The extra benefit of having a concrete swimming pool is that the pool can be designed to any size or shape to suit your specific area. How much does it cost for an average size pool? 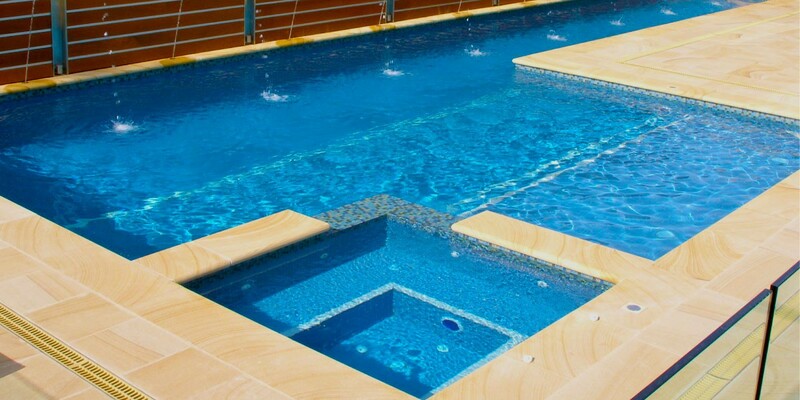 As each pool is particularly designed to suit the needs and lifestyle of each client, we are happy to assist you with a design and accessories for your pool and supply you with an individual quote. Do I need to have plans all ready? We are happy to assist you with ideas and advice for your swimming pool design, or we can work with an existing plan if you have already engaged an architect or landscape designer. How long does it take to build a swimming pool? For a fibreglass pool, once the *Building Permit is received the pool can be installed in 7 days. For a concrete pool we generally allow 3 months for the construction process. Prior to construction we need to obtain a *building permit which takes approximately 4-8 weeks, including engineering design and builders Insurance. If the local council determines that a town planning permit is required this will of course lengthen this administration time. Do I need a swimming pool fence? Swimming pool and Spa owners are required by law to have a pool fence or safety barrier around their pool. Government standards and regulations stipulate how the fence should be designed, constructed and maintained. Pool fences must be non-climbable by young children and include self-latching gates. If you haven't been able to find the answer to your question please contact Aquazone Pools and Spas today and we will be happy to assist you.